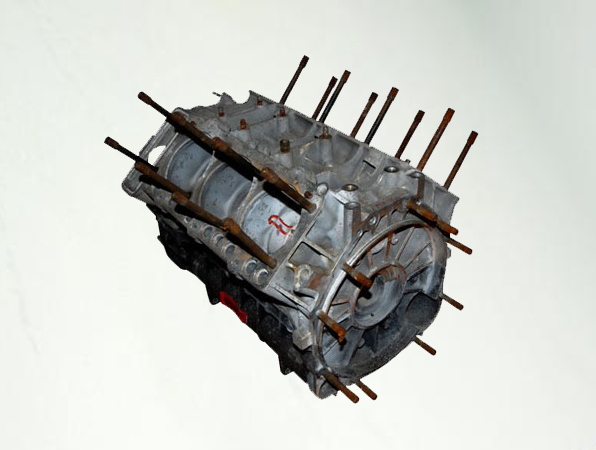 Engine block manufactured by Porsche in light alloy for the TAG Porsche Turbo V6 16 valves engine. This engine was succesfully used in the MCLaren MP4/2 driven by F1 leyends Alain Prost or Niki Lauda. It is supplied with certificate of autenticity issued by McLaren Cars Ltd stating the grand prix this serial number was driven by Niki Lauda, Alain Prost and Keke Rosberg. These engines had in their qualifying versions over 2000 HP! A real piece of history due to be in a museum.